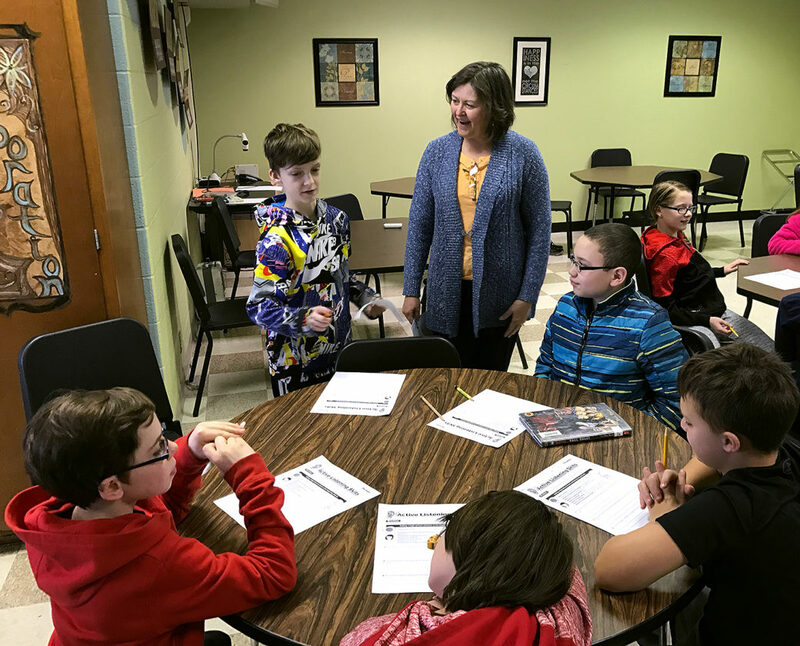 Washington Middle School fifth graders, Kris Cruz, Nate Cornell, Eli Nowell, Conner Degnan, and Ethan Pumford work with School Secretary, Sandy Pratt, on an active listening role model exercise during one of the school’s recent R-times. 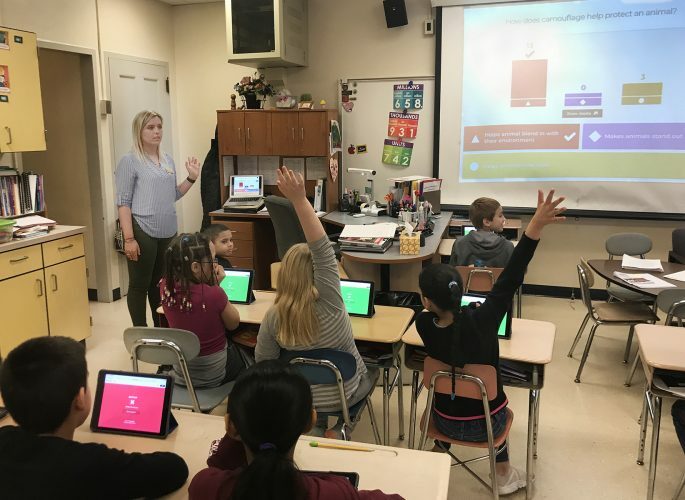 Mrs. Pratt was teaching during “R-Time,” which is for all Washington Middle School students fifth through eighth grades for 30 minutes, two times a week for 11 weeks. The school completed the initial session, which began at beginning of the school year. 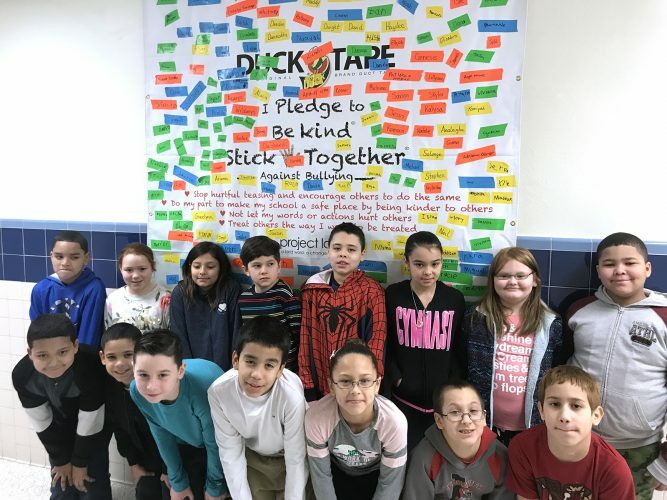 The school will occasionally hold “refresher” days, like the active listening R-Time, to focus on behaviors that need to be addressed school-wide from data supplied by the PBIS Committee. 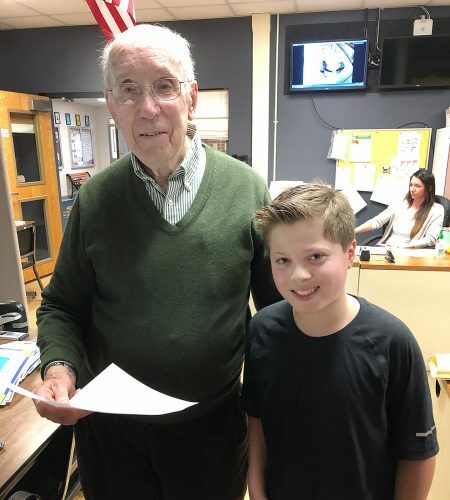 Almost every staff member in the school conducts R-Time sessions in order to give students an adult mentor to connect with in the school who is not their teacher. Washington teachers, Andrew Pihlblad, Sheri Brandes and John Calimeri created the “R-Time” curriculum last summer. 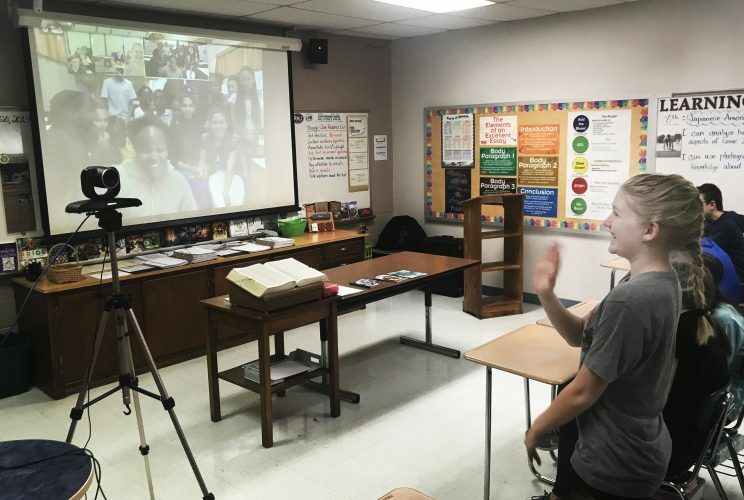 They used the Second Step Character Education curriculum to pull out topics but modified to create a program that fit the needs of Washington Middle School students. The curriculum covers everything from bullying to empathy to anger management to coping skills. R-Time teachers are able to modify the curriculum for their individual class. R-Time gives the opportunity for students to meet in small groups and really get to know the staff member who works with them. Many students will go back to that mentor if they are having a concern. 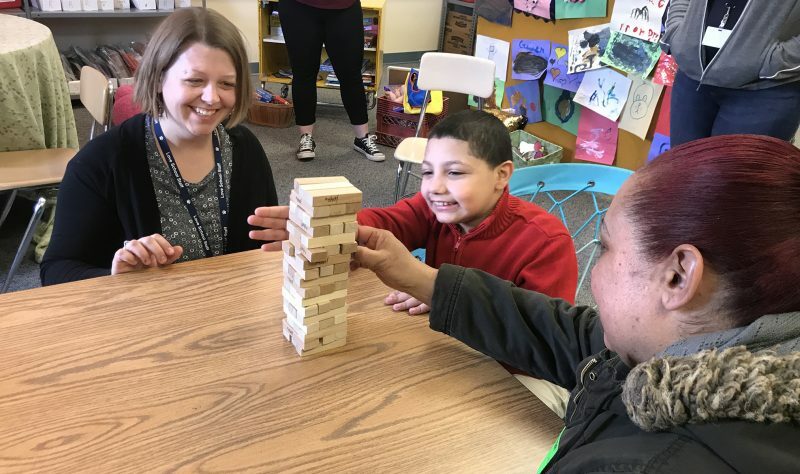 It meets one of Washington’s building goals, which is to have a student connect with at least one staff member who is not their teacher. 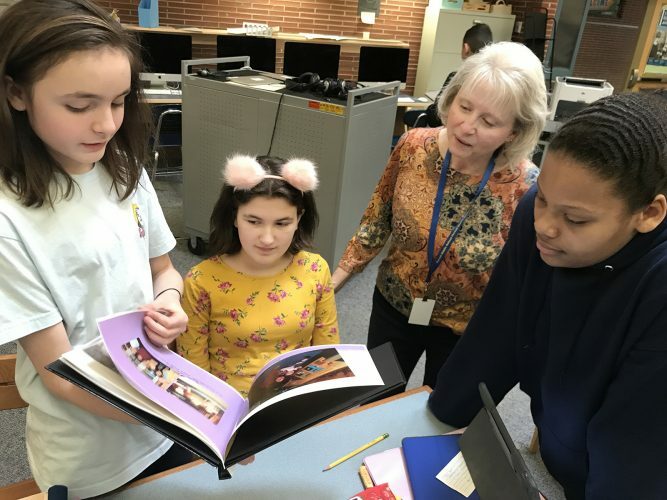 The next step for R-Time is to come up with new curriculum for next year so that the current fifth through seventh graders receive new lessons.